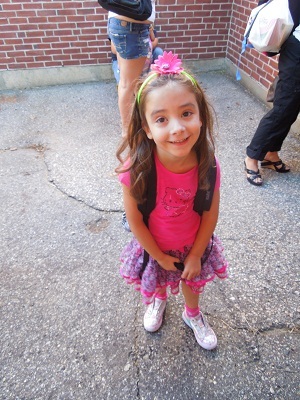 Yesterday was the first day of School and at a new school too! 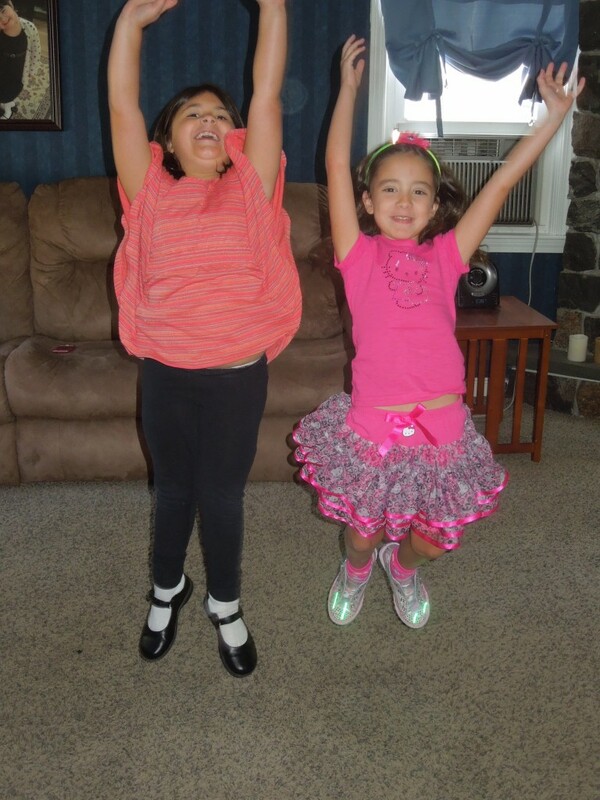 They girls were very excited. Especially Allison because she entered Kindergarten. She’s finally in the same school as her sister. She feels awesome! 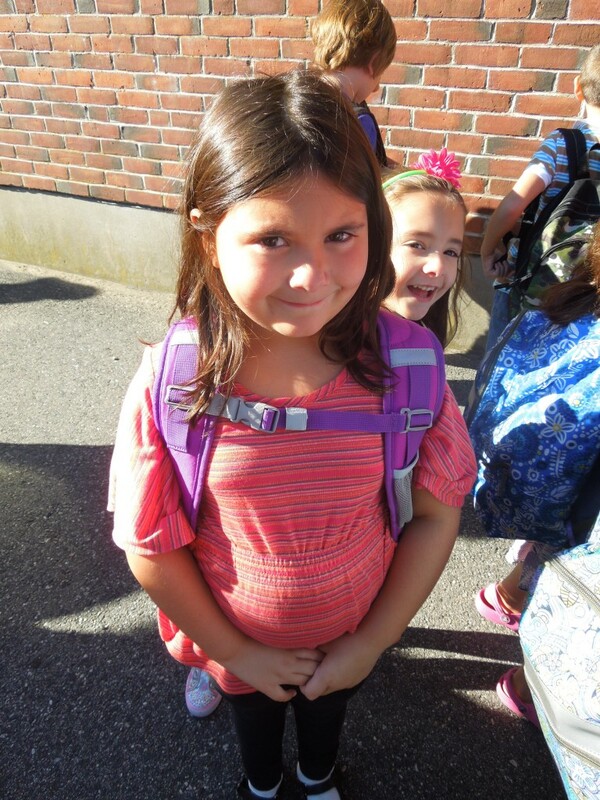 Holly started 2nd grade and was a little nervous and cried for a little bit before she went inside but she’s in the same class as our neighbor so that really helped her. She got over it pretty quickly in the end. And a YIPPEE Picture as well – though I’m thinking mom was more “YIPPEE” than the girls were. 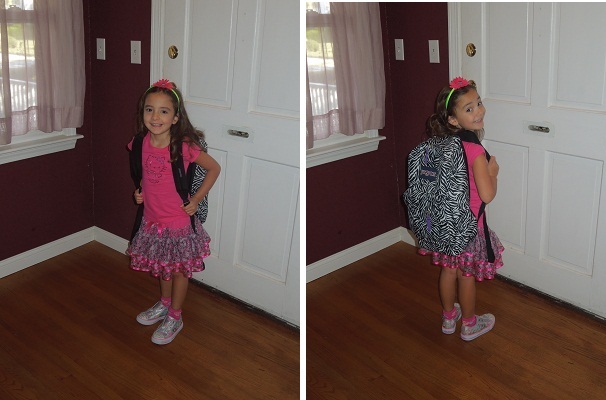 And we had to take pictures with our new back packs – and yes Allison has a Zebra print back pack, of course! 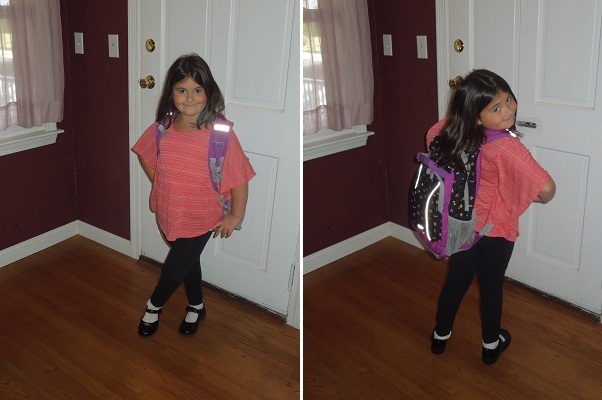 And of course Holly had to put a little pizazz into her pose…. And then before we left we had to take more pictures outside the house…. 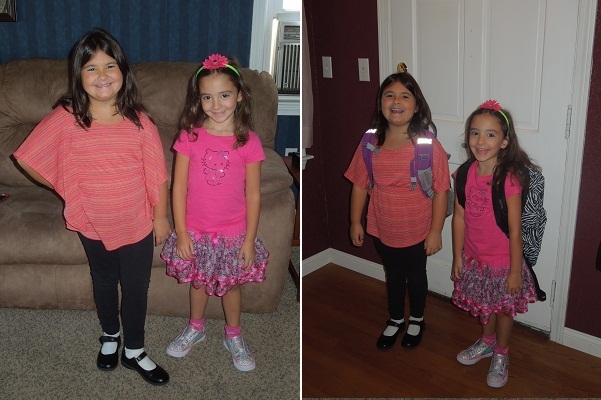 Then we walked to school…. It was a long walk…….. No just kidding but Allison did mention she was tired of walking… we couldn’t live any closer!! 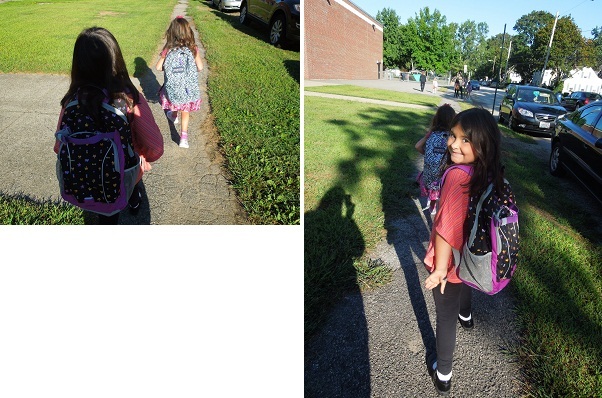 Then we took even more pictures outside school right before they went in their respective doors…..
Allison heading into Kindergarten for the first time…..
And Holly being brave before she headed into 2nd Grade…. 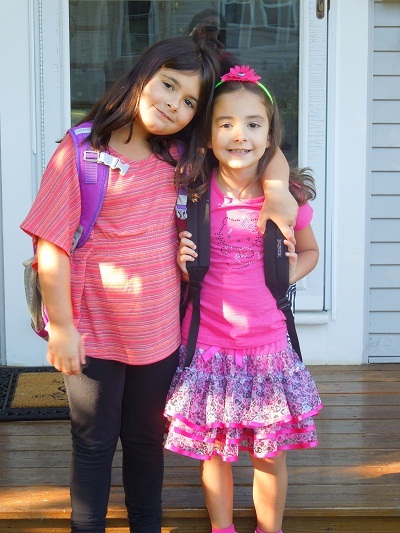 They both had great days and Allison told me today that she doesn’t like Kindergarten – SHE LOVES IT! Previous post: “Make Believe You Like Each Other”…..